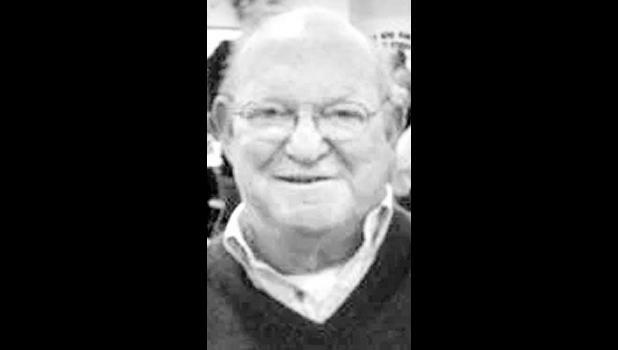 Thomas Edward Slattery, 78, Topeka, passed away Wednesday, Oct. 17, 2018, at the House at Midland Care. Tom was born May 14, 1940, in Topeka, to Joseph and Anna McGreevey Slattery. He attended Holy Name Grade School, graduated from Hayden High School in 1958 and St. Benedict’s College in Atchison in 1962. Immediately following, Tom taught history and economics at Hayden High School and worked with all the athletic teams. In 1964, Tom and Mary Ellen Moran were married. To this union three children were born, Michael Joseph, Anne Denise and John Moran Slattery. The couple later divorced. In 1994, Tom married Katharine Krumel Beattie. She survives, of the home. Tom was a research associate for the Kansas State Chamber of Commerce, served as director of education for the Kansas division of the American Cancer Society and was part of a management group at Hallmark Cards. Beginning in 1974 Tom was elected three times to the Kansas House of Representatives and from there became the executive vice-president of Associated General Contractors of Kansas, Inc. until his retirement in 2000. Grateful to have shared his life are his wife, Katharine Slattery; children, Michael Slattery, Anne Slattery, John Slattery and Heather Keitges (Greg); 12 grandchildren; his sister, Mary Ann Slattery; and his first wife, Mary Ellen Moran DeCicco. Mass of Christian Burial was celebrated Monday at Christ the King Catholic Church. Burial followed in Mount Calvary Cemetery. In lieu of flowers, memorial contributions may be made to Catholic Charities, Midland Care Hospice and Meals on Wheels, sent in care of Kevin Brennan Family Funeral Home, 2801 S.W. Urish Road, Topeka KS 66614.